Say what you will about the quality of football from clubs in the J-League but they can never be accused of a lack of resourcefulness. Andres Iniesta brought a sprinkling of superstardom to Japan's top flight when he moved from Barcelona to Vissel Kobe last month. Iniesta's pair of appearances against Shonan Bellmare and Kashiwa Reysol proved that supporters are going to pack out stadiums to catch a glimpse of the Spanish midfield legend. However Iniesta is not in Vissel Kobe's squad for the trip to FC Tokyo on Sunday, which is bound to disappoint those who had already booked tickets for the game at the Ajinomoto Stadium. "Iniesta has made a quick trip back to Spain to pick up his family and bring them to Japan," Vissel Kobe business director Masayuki Mori told ESPN FC. 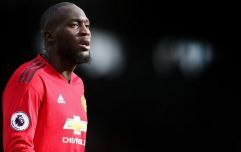 "He will be away for just a few days and will then return to action." Well Tokyo FC weren't about to completely crush their supporters' hopes of watching one of the greatest footballers of all time in action for Vissel Kobe this weekend. 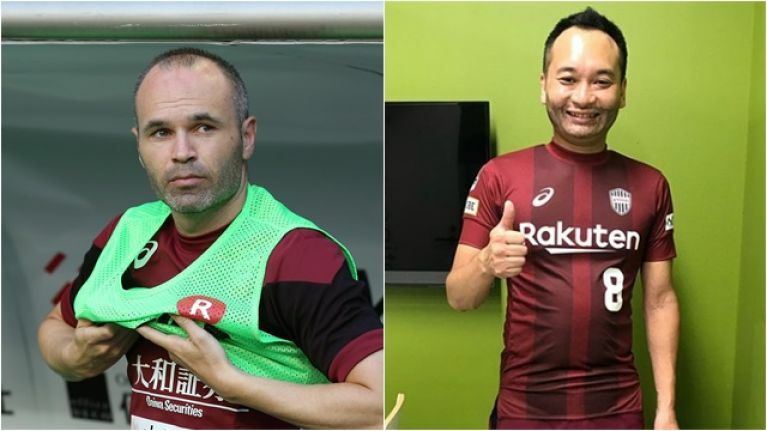 According to Sports Hochi, the capital's club has enlisted the help of Iniesta impersonator Iam Noda to please the sell-out crowd of 50,000 for the visit of Vissel Kobe. Credit to Mr Noda because it would appear as though his stubble is flawlessly drawn on to resemble Iniesta's beard so supporters surely won't notice the difference.